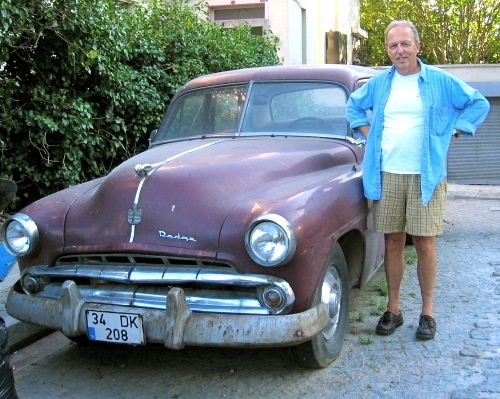 Sometimes great feral cars just come knocking on your virtual door and say “shoot me” or, maybe, “post me.” Yes, it’s that special day when gluttony is celebrated rather than reviled so we invite you feast on two early ’50s sedans that were sitting ducks (or turduckens) for loyal FeralCars fans Amy Treco and Andrew Keeler. If you recall, Amy was our Halloween model/presenter. If you don’t recall, click here to see what you missed. 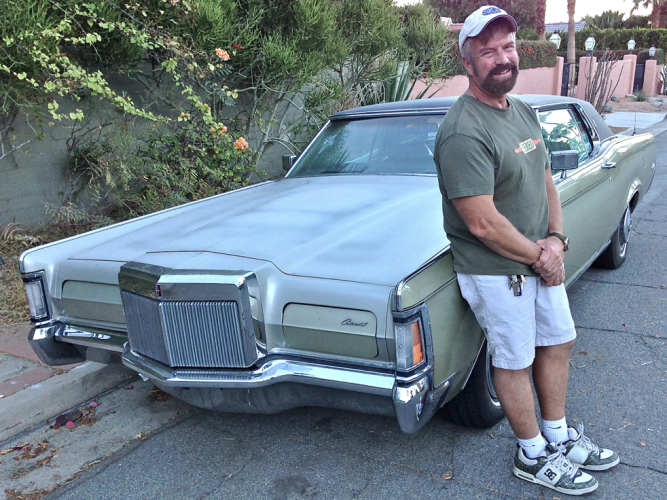 Andrew is constantly roaming, ahem, The Streets of San Francisco seeking out feral vehicular encounters. Today we give thanks to both for their service to the cause. Amy sent in a stunning, rockabilly-style, lowered ’54 Pontiac with add-on “dagmar” front bumper bullets, fender skirts, headlight half covers, de-chromed flanks and a “tuff” windshield visor. The last of these custom touches is the coolest accessory any juvenile delinquent type, loitering around a pool hall, trimming his cuticles with a switch blade, would lust after. 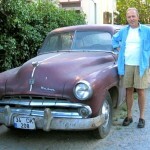 ’54 was, by the way, the last model year Pontiac — or any domestic car maker — offered a straight 8 (cylinders inline) motor. 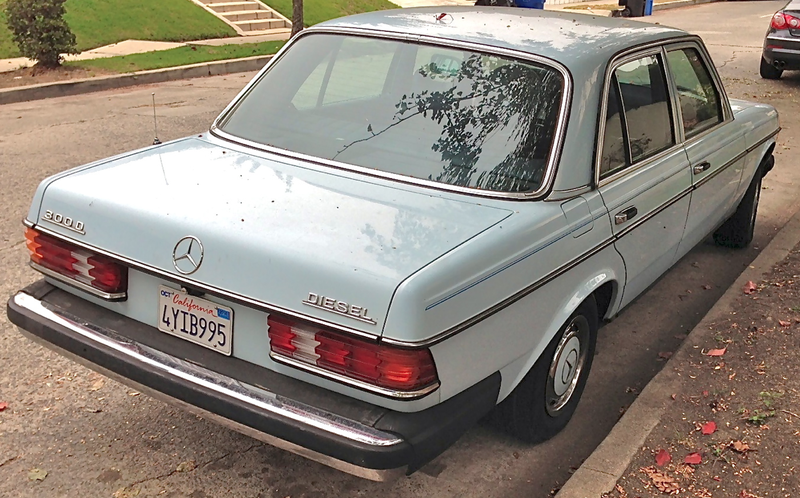 Displacement was 4.4 liters /268.2 cubic inches, around the same size as the motor powering today’s BMW M5 but with 430 fewer horses on tap. Andrew sent in this ’49 Ford, a “fordor” model, still thrivin’ ‘n’ jivin’ in the land of Rice-A-Roni and sourdough. That mottled surface rust, coupled with contrasting fender skirts and red rimmed wheels, make this V8-powered (239 cubic inches/3.9 liters, 100 hp) rockin’ Dearborn relic a thing of beauty, worthy of a doo wop song sung under a corner streetlight. Does the front end remind you of anything? If your response was “airplane Studey,” give yourself a gold star. The similarity to Studebaker’s ’50 – ’51 “bullet nose” car is apparent and that’s no coincidence. 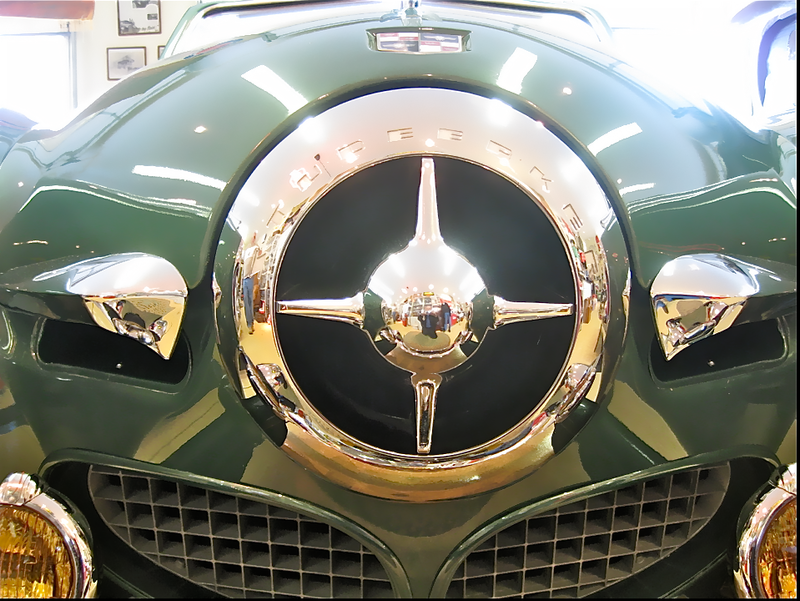 The Ford design has been attributed to Bob Bourke, Richard Caleal and Holden Koto, all of whom had been designers with Studebaker’s styling unit, administered by Raymond Lowey. The three seemed to have done some moonlighting before they all — surprise! — ended up working for Ford. We found an advert for Amy’s Pon-Ton, the subtext of which is that size does, indeed, matter. There’s a stunning ’54 Pontiac convertible you can buy for for a mere $93,000. Doesn’t that make you want to check it out? Here you go. Equal time for the ’49 Ford. 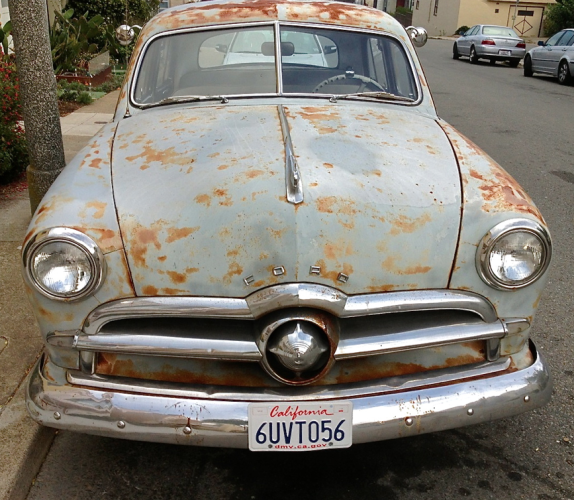 You have just a few days left to bid on this low mileage ’49 Ford “tudor.” It has only 51,000 miles on it which works out to fewer than 800 miles per year. Bid here now before it’s too late! 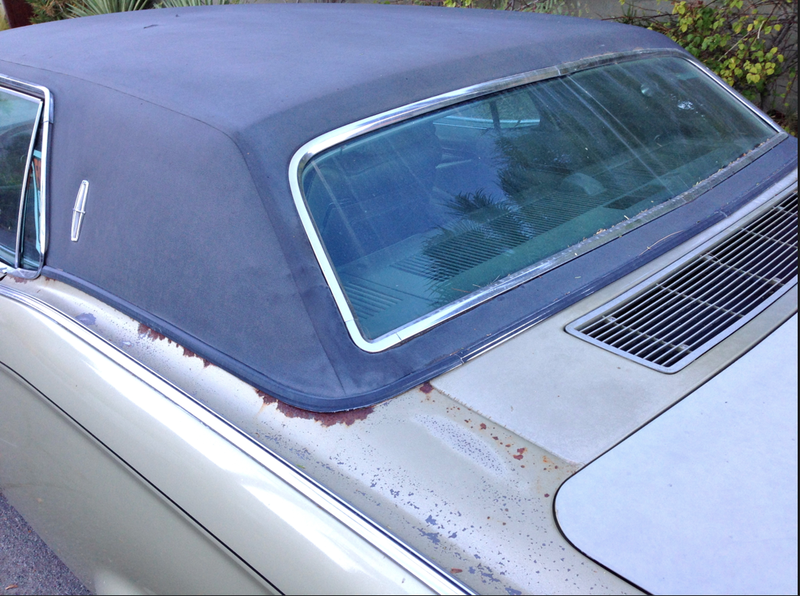 If you, like Amy and Andrew, have stalked a feral car and would like to submit a photo of it for posting consideration please send it in: info (at) feralcars (dot)com OR through Feral Cars on Facebook. 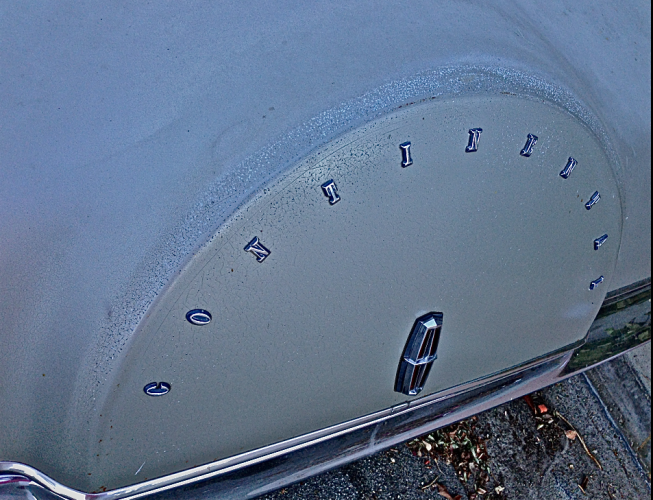 This entry was posted in Ford, Pontiac, Studebaker on 11/28/2013 by feralcars. The sight of an early 1950s Studebaker 2R pick-up truck barreling down the freeway is downright inspiring. 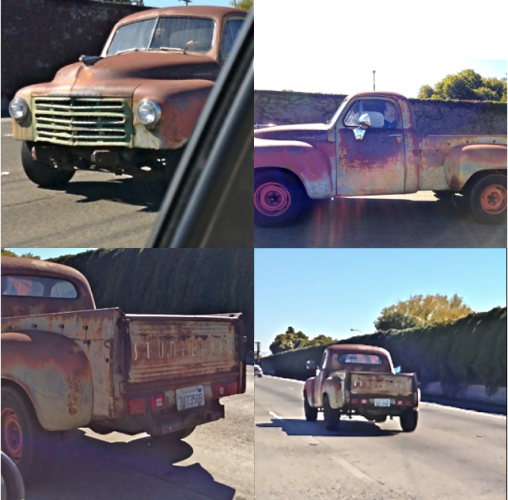 This one more than held its own with the stream of traffic on the 101 south of San Jose and what a thrill it was to see a 60 year old vehicle still fulfilling the purpose for which it was constructed. At the risk of sounding a curmudgeonly note, let us assert that it’s a safe bet that today’s cushy pick-ups, packed with luxuries and electronics geegaws that have nothing to do with getting the basic job of hauling “stuff” done won’t be up to the task come 2073. We were sent a shot of another Studebaker truck of the same vintage recently, this one at rest. Its zaftig lines are most pleasing, don’t you think? 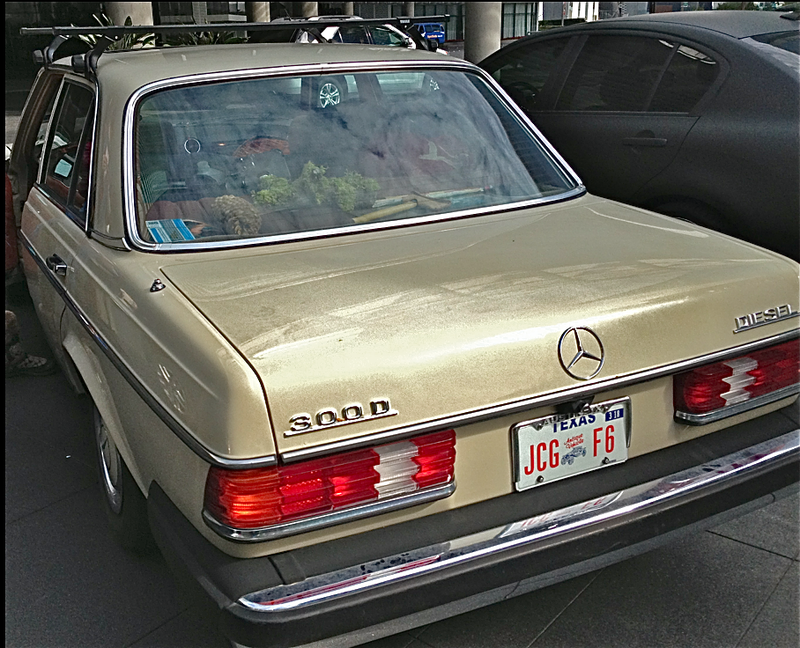 Still a looker even at an advanced age. 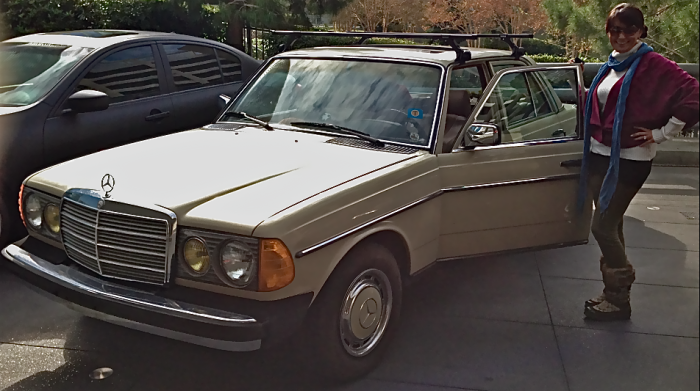 We found a completely “done” one of these in Charlotte, NC for about $20,000. Seems like a lot of coin but if it lasts another 60 years, you can amortized the cost and feel good about the investment. Check it out. 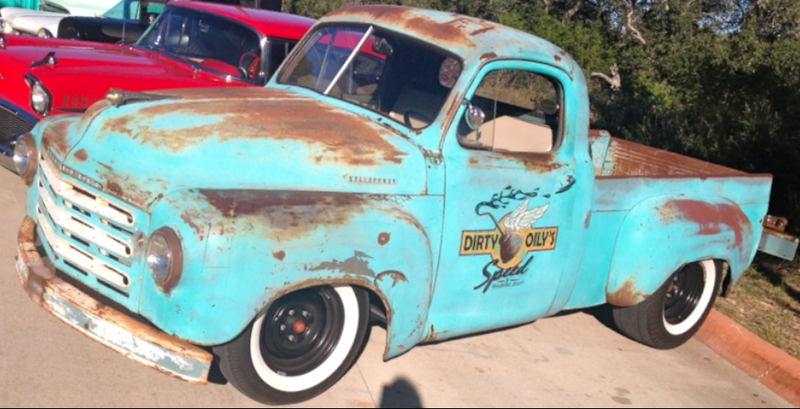 This entry was posted in Studebaker, Studebaker truck on 11/26/2013 by feralcars. It’s not common that a mid-60s muscle car is found in “as is” condition; most have been restored or customized to a fare-thee-well. 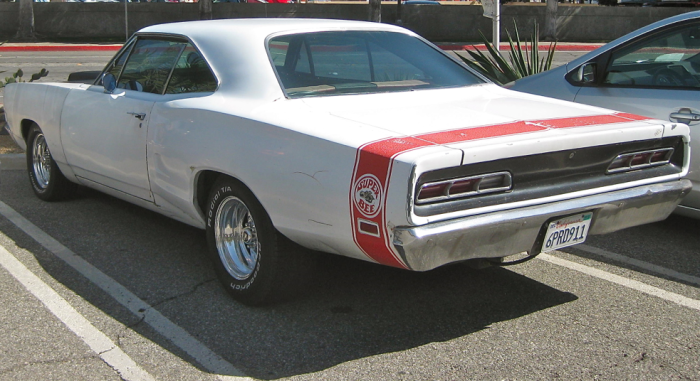 This ’69 Dodge Super Bee seems untouched for the most part. Based on the mid-size Coronet, the Super Bee was the Dodge boys’ version of Plymouth’s Road Runner but their cartoon mascot was generated in-house, rather than sourced from a TV cartoon character. It was an era when big motors were stuffed into light weight bodies as was the case with Pontiac’s GTO. You could order one of these with the famous 426 cubic inch hemi V8 which offered 425 horsepower of tire shredding thrills. 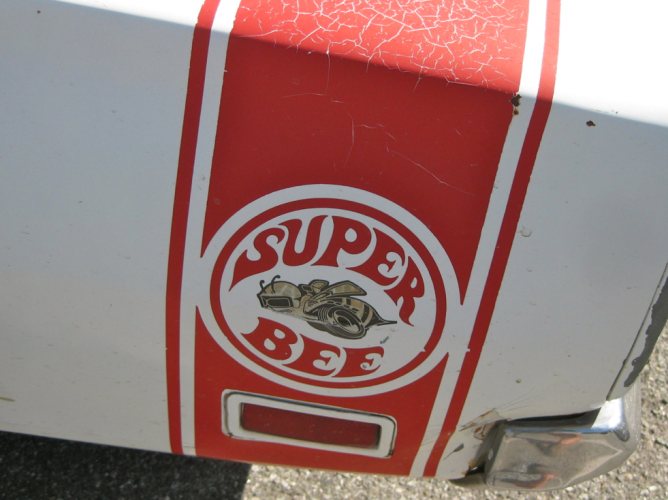 By the early ’70s, in the wake skyrocketing insurance and fuel costs, muscle cars were no longer in vogue and the original Super Bee became a victim of automotive colony collapse. 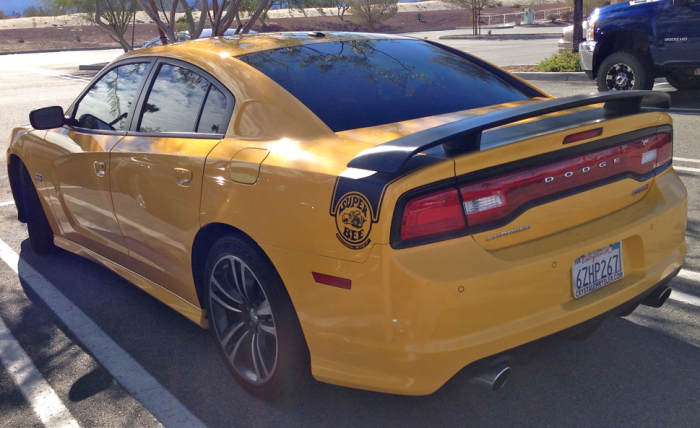 But everything old is new again so Dodge recently re-introduced the Super Bee character on its current high performance iteration of the Charger. Yeah, this one’s got a hemi V8 but a four-door muscle car? Really? 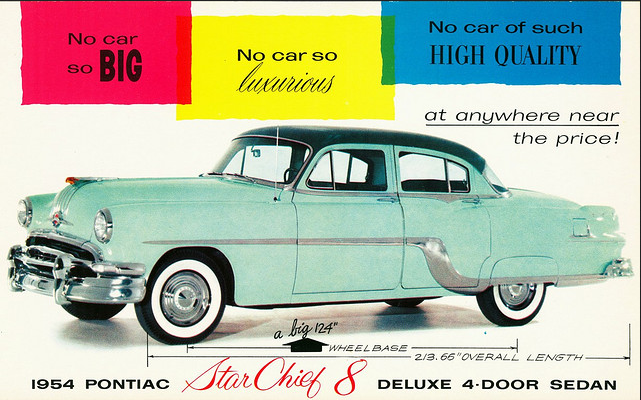 We’d be remiss if we didn’t point out that apian imagery was also used to market a car that could be perceived as the very opposite of Dodge’s brawny stingers, both then and now. The Datsun B210 Honey Bee was introduced as a low price leader in 1975 but a muscle car it most certainly ain’t. 80 horsepower from a 1.4 liter (85 cubic inches) motor doesn’t equal blistering acceleration but performance, clearly, wasn’t a priority. The car weighed a mere 2100 pounds, approximately half that of the current Super Bee, and Datsun claimed 41 mpg on the highway. We think that’s pretty sweet. As noted, the original Super Bee was a variant of the Dodge Coronet so here’s a period commercial that appropriates Burt Bacharach’s “Do You Know The Way To San Jose” as the backing track for the “Dodge Is Turning Up The Fever Now” theme. Yeah, baby! 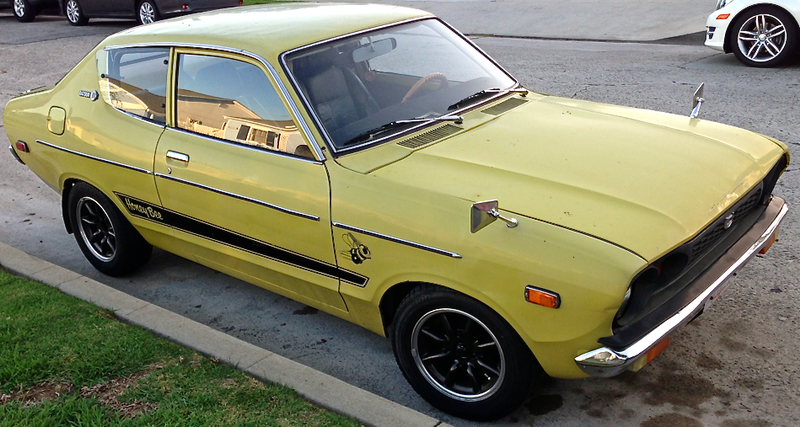 This entry was posted in Datsun, Dodge, Uncategorized on 11/25/2013 by feralcars. This is as close to an indestructible car as ever there was. It’s a 1982 Mercedes Benz 300D, a stolid cruiser, built on the legendary W123 platform. The diesel motor is good for a million or more miles and the body, if minimally cared for, should last into the next century. Its proud owner is Viviane who has named it “Ms Evelyn.” She has no qualms about driving it back and forth from deep in the heart of Texas to Northern California two, or more, times per year Ms Evelyn is as stock as possible; the original upholstery is intact, the snappy body color wheel covers and trim rings are clean as a whistle and that period-correct roof rack is nice utilitarian touch. They made more than one! Since these workhorses seem to last forever, it’s likely there’s one lurking right around the corner from you. We encountered Ms Evelyn in Las Vegas but this one, in a soothing shade of hellblau, was parked just steps away from FeralCars.com headquarters. And, as if to prove the point we’re trying to make about their ubiquity and stamina, we snapped a shot of a dunkelblau example that zipped by just a second or two later. These long-lasting MBZ diesels also come in a large economy size as with this 300 SD from the middle 1980s that was built on the S Class W126 platform. Note the biodiesel sticker in the back window. This goes a long way to explain why this dreadnaught exudes a nice aroma that brings to mind county fair fare found at you-name-it-we’ll-fry-it stands that warrant an extra dose of Lipitor®. Diesels are, typically, harder to start when it’s cold but this video of a 300 SD starting without problem on a 16ºF (-7ºC) morning after standing all night sounds a clattering note of reassurance. 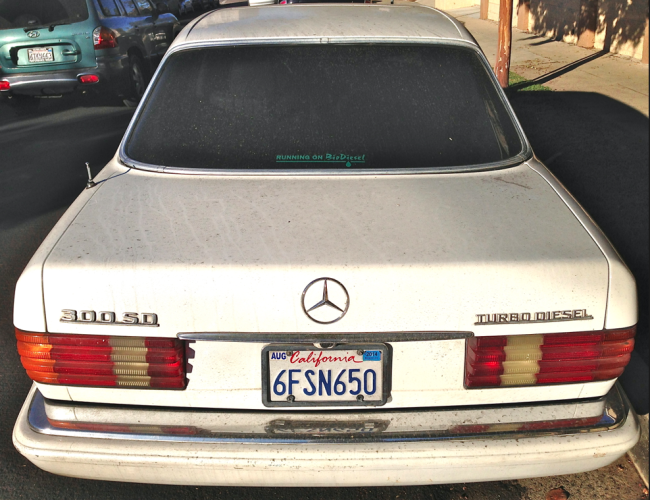 This entry was posted in Mercedes Benz, Uncategorized and tagged Diesel on 11/23/2013 by feralcars.